New album! Since their inception Pretty Girls Sing Soprano have quickly turned heads and gained a loyal following with their tight, clever and original harmonies. 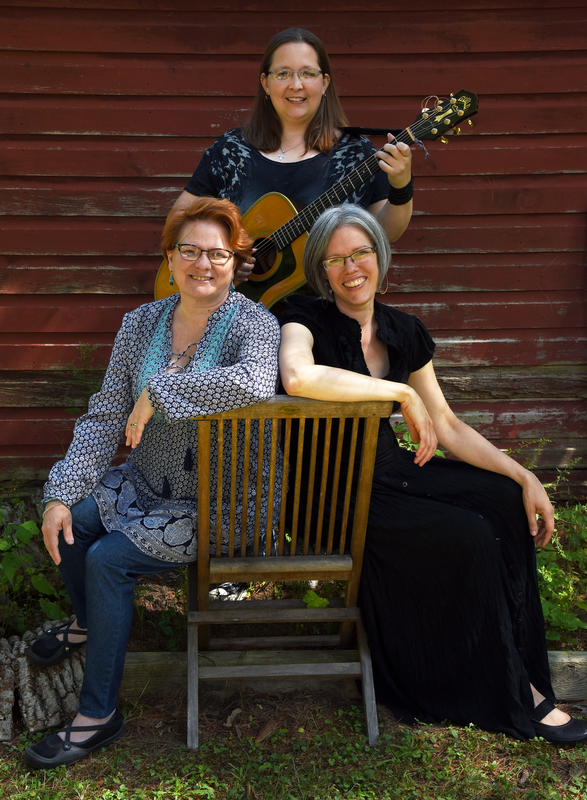 Ingrid Ayer-Richardson, Susan Mathews and Deana Gurney combine voices to share their love of acoustic and a cappella music. They will sing to your soul and leave you with a smile as they perform good music with top-notch vocals on a variety of songs from bluegrass, folk, traditional to country and rock-n-roll. Doors open at 6 PM, show starts at 7 PM. $10 advance, $15 at door. Dinner is a saunter to Tex-Mex town with al pastor pork or veggie enchiladas – think sweet, lightly spiced pinappley pork (or veg) smothered in cheese and sauce and a side, Dinner is $19 (includes tax and gratuity).